news & updates from Honduras | SOLIDARITY WITH THE PEOPLE(S) OF HONDURAS! On Sunday, June 5, Jose Recinos Aguilar, Joel Santamaria and Genaro Cuesta, all members of the Authentic Revindicative Campesino Movement of the Aguan (MARCA), were massacred in a car a few meters from the San Esteban cooperative. At approximately the same time it is reported that armed forces entered the installations of the National Agrarian Institute and opened fire on families who for several months have taken refuge within the government owned agrarian training center. Doris Pérez Vásquez was shot in the abdomen and is reported to be in critical condition. Even as the community buried the three men murdered this Sunday, they continued the search for Olvin Gallegos and Segundo Gomez, two members of MARCA. Eyewitnesses saw private security guards, from the same forces being trained as paramilitaries, kidnap the two men. The killing and kidnapping of these 5 campesinos follows upon the May 15th forced disappearance of Francisco Pascual López as he tended cattle on his farm close to the property line with the Panama African palm plantation, a farm that maintains heavy presence of paramilitaries. Nearby farmers with whom he shares the farm heard shots fired, but when they arrived where he had been, he was gone. Police found bullets and a trail of blood leading into the Panama African palm plantation, but refused to enter the plantation to continue the search. On May 18, Sixto Ramos was killed along the highway, shot from a passing car. Additionally, on May 10, Jose Paulino Lemo was shot as he walked on the road to sell fish by a passing motorcycle. Francisco Pascual Lopez, Sixto Ramos and Jose Paulino Lemo were active members of the Campesino Movement of the Aguan (MCA). There are reports that approximately 400 private security guards, employed by African palm producers in the region, are being trained in the Rio Claro base in Tocoa, Colon, home of the 15th Army Battalion. The security guards reportedly are from the Orion security company, employed by the Exportadora del Atlantico, and others are employed directly by the Dinant palm oil and derivatives company. The trainers wear Honduran military uniforms, and rarely leave the base though they have been reported to participate in forced, illegal evictions. During these evictions security guards have been reported to change into military uniforms; close collaboration between police, military and security guards has been reported. Local informants claim the trainer’s accents, stature and coloring lead people in the region to believe they are not Honduran. Many suspect they are Colombian. In October 2009, the United Nations Special Rapporteur on the use of Mercenaries, Private Security and Paramilitaries reported the Honduran African palm producers were recruiting security forces in Colombia particularly among former AUC members – a right-wing paramilitary group. There have also been reports of Chinook helicopters flying to and from the Rio Claro base, which leads many to believe US troops maintain a presence on the base. On January 8, 2011, Juan Chinchilla, a Honduran land rights activist, was kidnapped and tortured. Able to escape the evening of January 9, while being moved from his illegal detention center, Chinchilla reported that participants in his torture spoke English and another language he was not able to identify. The rash of killings and forced disappearances is obviously of grave concern; all the more shocking as Honduras was re-admitted to the OAS. A communiqué by the National Agrarian Institute Workers Union asserts that since the June 2009 military coup, 39 campesinos have been killed by paramilitary forces working for the oil palm planters while 10 more have been disappeared. As violence by paramilitary forces increases so does criminalization of land rights activists and other human rights defenders. The limited media reporting of the killings in the Aguan region is coupled with accusations that the land and human rights movements being targeted by the paramilitary actions are armed. 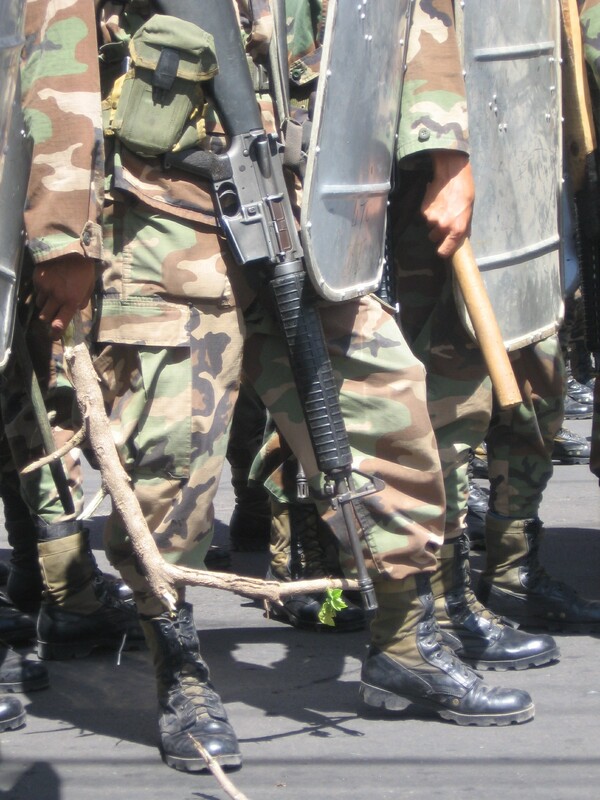 In March 2010, when the military backed Honduran regime was criticized for the extreme militarization of the Aguan, de facto president Lobo responded with unsupported accusations that the campesinos were armed and Venezuelan and Nicaraguans were present in the area. Following the November 15, 2010 massacre of 5 campesinos by Dinant palm oil security forces (with military and police support), Lobo claimed that campesinos had a stash of over 1,000 high caliber weapons and had received foreign training, which Security Minister Oscar Alvarez claimed took place in Nicaragua. On this pretext the military took over the National Agrarian Institute (INA) and the INA union reported that the army stole documentation that demonstrated that palm oil planters did not hold legitimate claim over lands being contested by campesinos. African palm producer Miguel Facusse (one of the wealthiest and most powerful men in Honduras and major backer of the June 2009 military coup) is again using Honduras’ corrupted “justice” system to persecute human rights defenders, a practice long employed by Facusse and others. On May 30, 2011, Facusse’s lawyers announced he was suing Catholic Bishop Luis Alfonso Santos for statements that implicated Facusse in the killing of 14 farmers in the Aguan region. A few days later, June 6, 2011, Facusse presented defamation charges against Andres Pavon, the Director of the Honduran Committee for the Defense of Human Rights (CODEH). Several months prior Pavon had presented legal charges against Facusse related to the killing of the 14 farmers, and just days before being subject to the defamation charges had denounced that the evidence on the killings was disappearing from the Attorney General Offices files. This State-backed, paramilitary repression occurs in the context of a series of complex, long-term land rights disputes in the region. The lower Aguan, a fertile agricultural plain that surrounds the Aguan river near Honduras’ Caribean coast, was subject to an agricultural colonization program in the 1960s and 1970s facilitated by an agrarian reform program. At that time dozens of cooperatives were formed and many began cultivation of a crop pioneered by United Fruit Company, African palm for vegetable oil production. In the beginning of the 1990s, a “land modernization” law was passed. Among other measures, the “Land Modernization Law” in Honduras removed restrictions on resale of land obtained through the agrarian reform program. Dozens of cooperatives established through the agrarian reform program were resold to today’s Honduran palm oil magnates, Miguel Facusse and Rene Morales. However many of the sales were marred by illegalities, fraud and violence. By 2000, there were tremendous problems of landlessness, underemployment and terrible working conditions among small farmers in the region. With the support of the Parish of Tocoa, landless farmers organized the Campesino Movment of the Aguan (MCA). In 2000, hundreds of small farmers established themselves in an area known as the Center for Regional Military Training (CREM), an extension of land used by the US army in the 1980s to train Central American militaries and to provide support to the Contra armed insurgency that fought the Sandinista government in Nicaragua. Between 1989 and 1990, the CREM land had been purchased by the National Agrarian Institute, reportedly from US citizen Temistocles Ramirez, for $17 million to be used exclusively for agrarian reform purposes. Previously, the land had been used for large scale cattle ranching, and according to some reports drug trafficking, largely by former Honduran military, who naturally quickly came into conflict with the campesinos who established farms in the property in 2000. However, with support from the catholic church and national land rights organizations, the “cattle ranchers” were compensated through the INA for the “improvements” they had made on the CREM land, so as to take pressure of the campesinos who were now setting up coops and businesses, with the support of INA. Only a few portions of the land then remained in conflict, particularly an area known as El Tumbador which Miguel Facusse claimed to own, via a questionable land purchase. The MCA divided the CREM lands between 45 distinct Campesino Businesses. 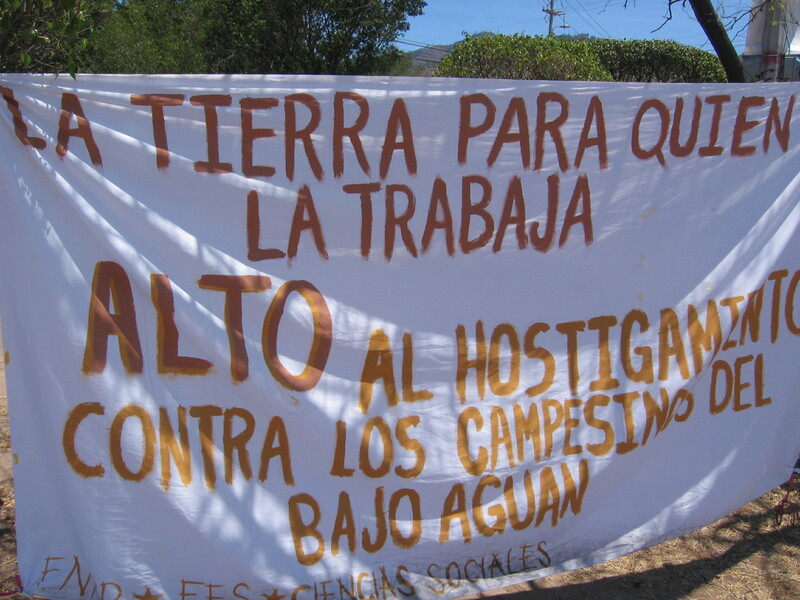 In 2004, campesinos began organizing to reclaim cooperative lands that had been illegally acquired by the palm oil magnates in the 1990s, forming the Unified Campesino Movement of the Aguan, MUCA. In February 2006, 7000 campesinos organized in the MUCA blocked the main highway in Tocoa, demanding that the District Attorney in Tocoa, the Attorney General of Honduras and the Supreme Court investigate the irregular purchases of the cooperatives in the 1990s. By March 2009, after years of investigation, the MUCA proposed a negotiation platform focused on demanding that 29 cooperatives be returned to campesinos. On May 28, 2009 MUCA occupied the palm oil processing plant owned my Miguel Facusse. President Zelaya personally went to the Aguan to negotiate with the campesinos. On June 12, 2009 an agreement was defined between the MUCA and the government, and the processing plant occupation was lifted. On June 19 President Zelaya signed the agreement, which essentially mandated a technical-legal team with the investigation of the legal history of the cooperatives. On June 21 the investigation began, but ended with the June 28, 2009 military coup. In reaction to the suspension of the investigation, on December 9, 2009 the MUCA began occupying the former cooperatives in conflict, and claim to hold documentation to demonstrate that the palm oil magnates do not legally own 29 cooperative farms. In April 2010, de facto president Porfirio Lobo sent thousands of troops to occupy the Aguan, and forced the MUCA to enter into negotiations, not only threatened private security forces controlled by the palm oil magnates, but also by the Honduran military. An agreement was signed in which Miguel Facusse agreed to sell an extension of land to the MUCA. At this time a section of the MUCA split off to form the Authentic and Revindicative Campesino Movement of the Aguan, MARCA. MARCA campesinos decided to pursue recognition of their land rights through law suits using the documentation they had gathered that showed flawed titling processes by the palm oil magnates rather than signing a negotiated agreement as those in MUCA chose to do. The terms of the “agreement” signed between the palm oil companies and the MUCA have not been complied with and the “justice” system has not facilitated the advance of the legal remedies sought by MARCA. ALERT: Eviction in the Garifuna community of Punta Gorda, Roatan. At the request of the Military Social Security Institute [Instituto de Prevision Militar, IPM, which owns several businesses], agents from the Ministry of Security are right now carrying out an eviction in the island community of Punta Gorda, Roatan. The more than 40 families that are being violently evicted live in the neighbourhood known as Punta Gorda, located in the community of the same name. It is outrageous that that while the State of Honduras boasts about a policy of inclusion and makes an ostentatious show of its celebration of the International Year of Afro-Descendants, the armed forces order the Ministry of Security to carry out an eviction. As Garifuna, we find ourselves suffering a second expulsion from the Caribbean. In just a few days, on April 12th, the arrival of our People to Honduras will be commemorated, specifically marking our arrival to the island of Roatan, after our forced displacement by the British from the island of Saint Vincent in 1797. The pressures on our territory that our People suffer are rooted in the speculation by the tourism industry. Projects such as Banana Coast, Laguna de Micos, and in a not-so-distant future the so-called Model City have precipitated an onslaught of evictions in Punta Gorda and in the majority of coastal communities, which are the aim of businesspeople, politicians and armed forces, taking advantage of the vast judicial void that exists in Honduras. Since the coup d’etat in 2009, the pressures on Garifuna territory have intensified. The eviction in Punta Gorda is part of the “Christian humanism” of the current administration, which uses violence in an attempt to impose its vision of a “democracy” of the few associated with the party in power. The Garifuna of Punta Gorda lack a land deed for their territory, despite dancing to the tune of numerous governmental administrations over the years – administrations that tend to celebrate the anniversary of our arrival to Honduras in Punta Gorda with rituals of power. How will the State of Honduras and its kindred organizations explain this eviction at the Afro-Descendant summit they plan to hold this August? Basta Ya – enough! – of the expulsion of the Garifuna People of Honduras. La Ceiba, April 7, 2011. On March 28th, Miriam was shot by police in the stomach with tear gas canisters, illegally detained and threatened, during a peaceful road occupation to reject the privatization of public education being carried out by the military-backed Honduran regime. Three days after her release, and still recuperating, Miriam was present in Tegucigalpa marching with the Garifuna people. “Today we are here, present in the capital, not just so people can watch us dance. We do not want to maintain this idea that Garifuna are only useful to dance. As well, we will not be used to help legitimize a government that carried out a coup d’etat. “We are here as Garifuna so we can make visible the problems of the Garifuna people. So that people will realize, on a national and international level, that the Garifuna people are here to reclaim their historical rights. “We are here on the 1st of April, inaugurating the International Year of the Afro-descendents named by the United Nations. “Today we can say that we are facing the second expulsion of our territories, that is why we’re here. “The Garifuna people have inhabited Honduras and resisted for more than 214 years. It is not true that we are just able to dance. That is why we are here. We are here with our identity, our spirituality, our culture, because we have a culture of resistance. Even before a system that wants to eliminate all of the value of our culture. All the value that we are as Garifuna people. We are proud to be Garifuna. The Garifuna culture is a culture of milleniums. The Garifuna people just like the Lenca people, Pech, Mosquito, and Tolipan, all the indigenous and black peoples, we have been resisting against a monoculture, one culture that they are trying to create and say that we are. In Honduras, April is a month of celebration for the Garifuna people. To inaugurate the African Heritage Month during the International Year of Afro-Descendents and 214 years since the Garifuna people arrived in Honduras (forcibly brought here by [British] imperialists carrying out an ethnic cleansing on the island now known as San Vincent), roughly 2000 Garifuna people and 214 drums were brought from various communities on the north coast and Bay Islands of Honduras to Tegucigalpa last Friday, April 1st. From the National Teaching University to the Central Park, the Garifuna community – joined by Lenca indigenous members of COPINH (Council of Indigenous and Popular Organizations of Honduras) – marched with 214 drums, many maracas while singing and dancing in the streets of the capital city. The Committee of Relatives of the Detained-Disappeared in Honduras, COFADEH, is able to confirm that there are political exiles. Over the last few weeks, three more people have been taken out of the country because their lives are in danger, bringing the total to 157 persecuted people who have left Honduras, said Bertha Oliva, coordinator of the human rights organization COFADEH. After declarations by [ousted] President Manuel Zelaya Rosales about the existence of political exiles, the regime of Porfirio Lobo Sosa has tried to delegitimize these allegations, requesting a list of the exiles’ identities. On the matter, Oliva pointed out that COFADEH has registered 157 people in exile due to political persecution by the Honduran State and its agents. “At the same time they say they are creating mechanisms, they are going looking for people with photographs in hand. They are paramilitaries, death squads that persecute people who have some level of leadership in their communities and neighbourhoods,” denounced the coordinator of COFADEH. To Oliva, the total of 157 Hondurans who have fled Honduras is a scandalous number, considering that if Honduras is supposedly living through a process of reconciliation, there should not be a single person leaving the country due to terror or political persecution. COFADEH is not working with cases of family vendettas, but with people involved in the national resistance with some level of leadership in their communities and neighbourhoods who are being followed, pursued using their photographs – in short, we are talking about paramilitaries, death squads, reiterated the human rights activist. It is about political persecution. If it were not so, why is it that members of the resistance are those who are being persecuted?, she asked while emphasizing the regime’s double standards. 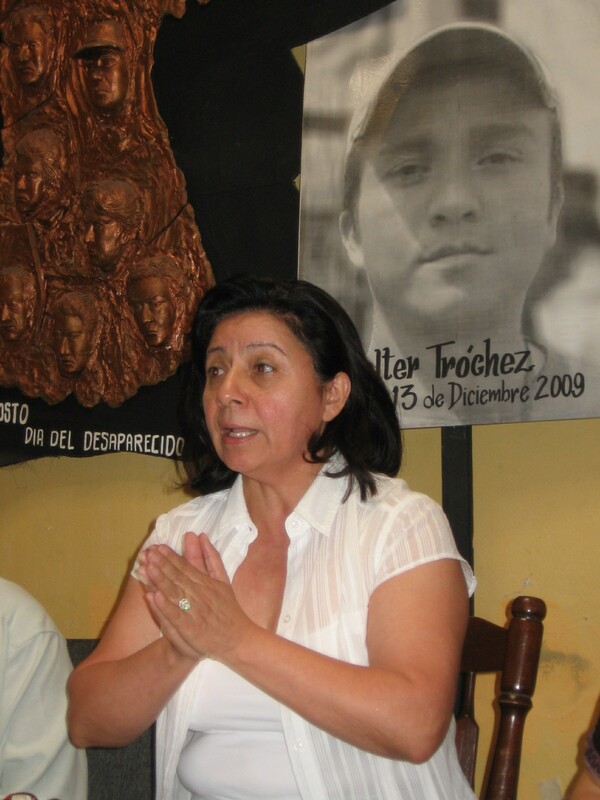 Concerning Porfirio Lobo’s repeated statements asking for the list of exiles in order to prove that they really exist, human rights defender Oliva asked how it is possible that Lobo, who supported left-wing movements in the 1980s, now asks for names and addresses, which would place these people at risk. “This is not a legend, it is not happening in Bosnia… this false respect of human rights needs to be stopped,” expressed Oliva, who returned last weekend from a trip to the United States where she denounced what is happening in Honduras and, together with the Human Rights Platform [of Honduras], received the Letelier Moffitt award. On the “Day of Indigenous Resistance”, indigenous communities across Honduras demanded respect for their fundamental rights, affirming the government’s obligation to obtain their free, prior and informed consent when implementing projects that affect their communities. Honduran communities and many nations in the Hemisphere do not recognize the legitimacy of the current government, imposed following the June 28, 2009 military coup and then the November 27, 2009 illegitimate election. Despite the precarious situation of the Honduras regime and state, in international law, on September 2nd and 3rd laws were passed that conceded use Honduran rivers to private corporations for the construction of 41 hydroelectric dams. Many of these dams would affect indigenous communities. While none of these communities have been consulted, as international law prescribes, many communities, both indigenous and not, have declared their express opposition to the projects in community assemblies, the maximum traditional indigenous authority, and in municipal referendums. 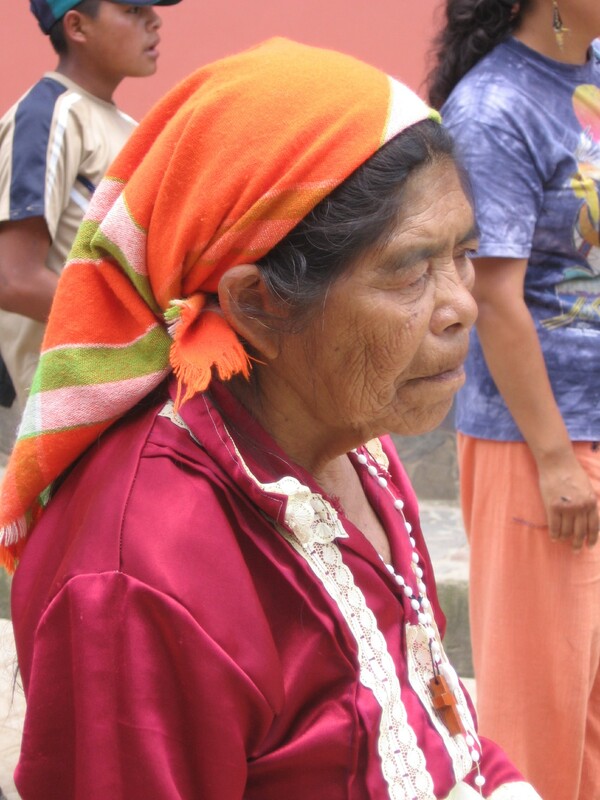 The complete disregard for indigenous rights by the military coup authors was demonstrated earlier this year by the Honduran National Council of Private Enterprise (COHEP) in its call on the ‘de facto’ regime to withdraw from the International Labor Organization’s Covenant 169, a key instrument in initially establishing a framework for the recognition of indigenous rights. Indigenous peoples from across Honduras met on October 3 in Garifuna territory to articulate a response to the assault to which they are being subjected, and convoked a national Constituent Assembly of Indigenous Peoples and Blacks. Protection of national resources and the full recognition of the territorial rights of indigenous people are issues at the heart of the call to draft a new constitution for Honduras. Protection of national resources is also what is most feared by transnational corporate interests and what has generated the tremendous and persistent mainstream media distortion of the reasons for the call for a new constitution and the motives behind the coup, focusing on the red herring of changes in term limit restriction. As recently as October 7, even the Huffington Post ran an article by a Council on Foreign Relations fellow focused on the change in term limits. The current and sixteenth constitution was adopted in 1982 during a military dictatorship. The Inter-american Development Bank (IDB), in violation of its own Charter, has resumed funding in Honduras despite Honduras’ ongoing suspension from the Organization of American States. To compound its violation of international law, the IDB has approved funding for a technical assistance grant to undertake initial project feasibility studies for the Gualcarque and Mixure dams, both in Lenca territory and both having been expressly rejected on multiple occasions in both community assemblies and municipal referendums. The ‘de facto’ regime is planning to make use of funds obtained through financial mechanisms established by the United Nations Framework Convention on Climate Change for construction of three large dams on the Patuca River despite studies that demonstrate that large dam reservoirs, especially in tropical regions, emit significant methane emissions. The push for the construction of dams is occurring as the World Bank and the Central American Bank for Economic Integration fund programs oriented toward the privatization of the Honduras National Electrical Energy Company, ENEE. Though national energy companies across the region had been privatized through similar World Bank promoted programs, Hondurans had strongly defended their national energy company and small consumers received energy for a fraction of the cost as in privatized neighboring countries. A process of segmenting sectors of ENEE began in 1999. The meter reading services were contracted out to a Honduran financial services corporation owned by Arturo Corrales, currently the de facto Minister of Planning and International Cooperation. Corrales was a key actor in the military coup. Privatization of the national energy and telephone companies seem to be high on the agenda of the coup government. General Romeo Vasquez Velasquez, the military officer who carried out the coup, was named head of the national telephone company, and talk of privatization has already begun. Washington lobbyist and former State Department official Otto Reich, who was a key voice justifying the coup in Honduras, has worked extensively with telephone and energy corporations. ENEE’s labor union protested on October 6, demanding that the privatization process be stopped and the already privatized sectors of the energy company be nationalized. In August ENEE’s union denounced in a press conference that the de facto administration was not enforcing payment for electricity and thus not paying thermal generators money owed in an effort to bankrupt the company as a pretext to allow financial corporations to take it over and privatize it. Ousted President Manuel Zelaya had rigorously enforced payment of massive outstanding debts by large consumers, restoring financial viability to the State corporation and providing sufficient funds to finance subsidies for low income, small consumers. Though this generated widespread popular support, corporations that consumed large quantities of energy were angered. It was denounced by the Union that during the coup the ENEE headquarters were occupied and millions of dollars in debt were erased from the system. SPEAKERS: Contact Rights Action to plan educational presentations in your community, school, place of worship, home, about the tireless and courageous Honduras pro-democracy movement. EDUCATIONAL DELEGATIONS TO CENTRAL AMERICA: Form your own group and/ or join one of our educational delegation-seminars to learn first hand about community development, human rights and environmental struggles. 1.-We condemn the murder of 22-year-old Miguel Alonso Oliva, murdered by security guards when the Aguan Unified Campesino Movement (MUCA) occupied lands in the Boleros estate, which are illegally possessed by landowner Rene Morales. 2.-At the same time, we condemn the lack of quick action to solve the land conflict in the lower Aguan by the Porfirio Lobo Sosa regime, which is showing itself to be acquiescent to the landowners by failing to take on the responsibility of returning the State-owned lands that should be immediately handed over to the campesinos and campesinas, as per the law. 3.-We urge the international community to send urgent actions to the Honduran State in order to end this precarious and difficult situation against women, men, and children. They are terrorized by the weapons belonging both to the security guards working for landowners Miguel Facusse, Rene Morales and Reynaldo Canales, as well as those of the heavily-armed army and police forces that are preparing to move into the area with the intention of evicting the campesinos and campesinas who have recuperated the lands along the left bank of the Aguan river. Several cooperatives are located along the left bank: Suyapa del Aguán, Guanchías, Buenos Amigos, Remolino, Despertar, Trinidad, San Esteban, Quebrada Honda, Paso Aguán, El Plantel, Islas 1 and 2, Marañones, and Boleros. 4.-We proclaim our solidarity with the family of young Miguel Alonso Oliva, whose wake is being held in the community of Guadalupe Carney in Silin, Colon, where dozens of people have gathered to accompany his relatives. 5.-COFADEH has received unconfirmed reports of other possible deaths of security guards, demonstrating the urgency of a resolution to this conflict in order to avoid further bloodshed and the polarization of the Honduran family.